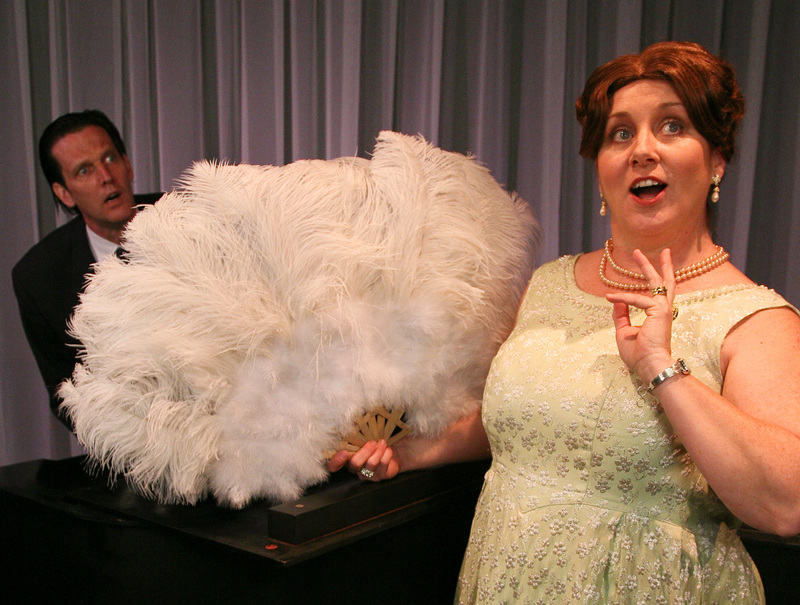 When Sebastopol actress and singer, Mary Gannon Graham, took on the role of Florence Foster Jenkins, the famous tone-deaf diva, for 6th Street Playhouse’s production of Stephen Temperley’s Souvenir: A Fantasia on the Life of Florence Foster Jenkins, she had to learn the art of vocally decimating opera’s most beautiful arias. Doing this authentically—impersonating Jenkins without turning her into a mere caricature—wasn’t easy. 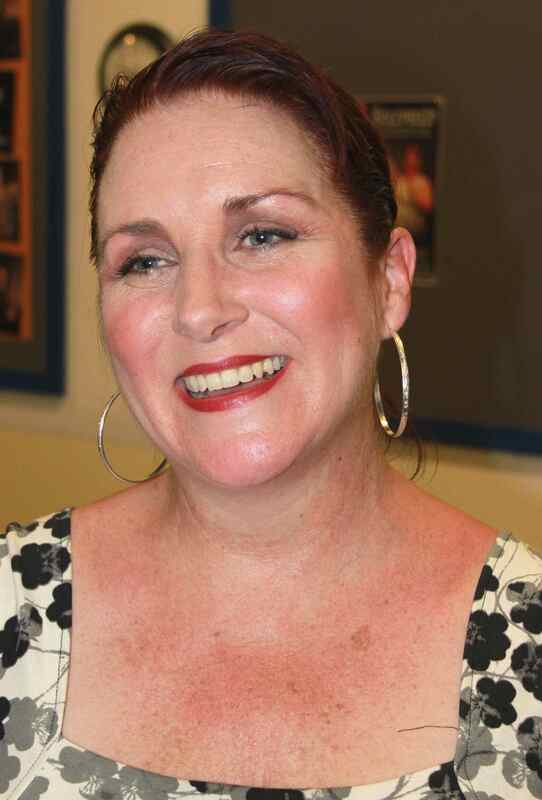 Revered by audiences and critics in throughout the Bay Area for her fluid performances in Always, Patsy Cline and Shirley Valentine, Gannon Graham agreed to talk about her fascinating new role as the spirited coloratura whose botched high notes, disastrous pitch and intonation, and crippled rhythm delighted her enthusiastic audiences. 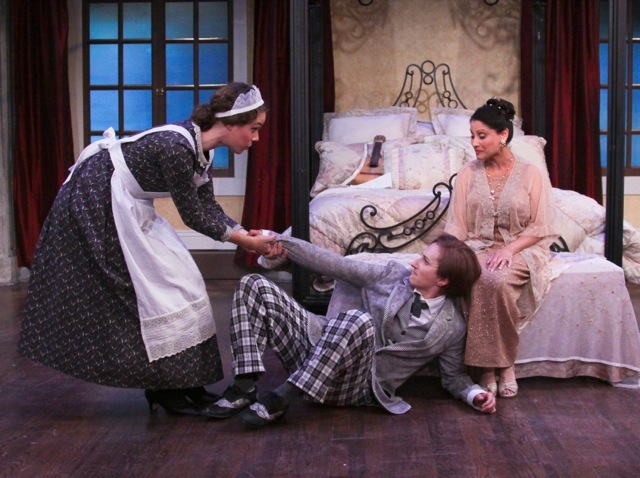 Souvenir, which opened Friday night, at 6th Street’s Studio Theatre, is a poignant comedy, a fantasia of memories and experiences related by Jenkins’ witty accompanist, Cosmé McMoon, portrayed skillfully by John Shillington, who sings and plays piano throughout. It’s also a story of personal fulfillment and victory. The story starts in 1964, on the 20th anniversary of Jenkins’ death, and goes back to 1932 and moves forward through the 12 years of McMoon’s relationship with Jenkins. Jenkins was born in 1868 in Pennsylvania and dreamed of becoming a great opera singer but her wealthy father refused to pay for voice lessons. When he passed away in 1909, she inherited enough money to follow her bliss, took voice lessons, became very active in social clubs, and gradually began giving recitals for her friends. She was renowned for her annual concert at the Ritz-Carlton ballroom where she performed famous arias in elaborate costumes she designed herself, raising loads of money for charity. Tickets to her Carnegie Hall concert, on October 25, 1944, which she gave at age 76, sold out in two hours. The audience, consisting largely of service men, busted their seams throughout, some stifling their laughs and others not. 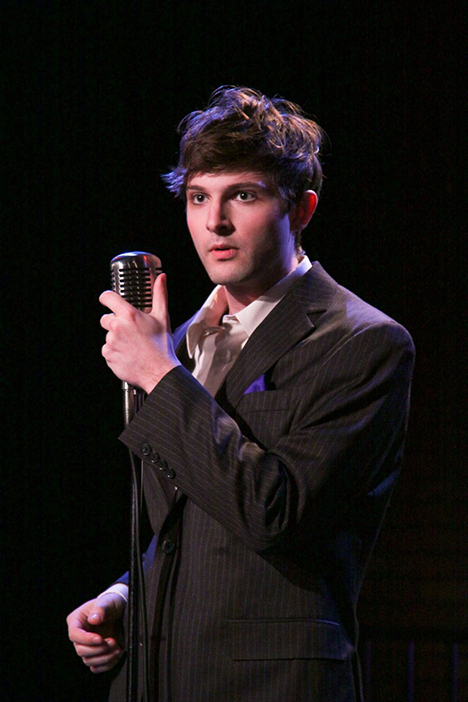 Gannon Graham plays Jenkins with sweetness and vibrant off-the-mark singing. Is it more difficult to sing properly or badly? What are the technical issues with her voice—intonation, rhythm, timbre? Mary Gannon Graham: It’s a little of everything. When you listen to her recordings, and they are on YouTube, she was in the ball park a lot, but was basically a quarter note above or below. One of her reviewers wrote that ‘she mastered the art of the quarter note,’ and he was trying to be kind. Her rhythm was not always what was written. The play is a fantasia, so a lot of it is made up. She talks about obfuscating the tempi, how accuracy gets in the way of true singing, and how music comes from the heart and that the notes are simply guideposts left by the composer. This is the gist of what she believed—she had her own musical interpretation and she practiced very hard to perfect it. It’s interesting that she chose opera, an art form with such rigorous standards. Mary Gannon Graham: Oddly, she was also a piano teacher, so she knew something about music. She left her father’s home after he disowned her and this was because she married against his wishes. She married a man, Jenkins, who was about 15 years older than she was and he was a consummate cheater and he gave her syphilis. So she left her father and then her husband and made her own way in the world teaching music. She had this love of classical music and believed herself to be a true coloratura soprano and felt she could master the very high ranges. I’m a mezzo and singing really high, and not using the meat and potatoes of my voice, is very difficult. It’s awful to sing like a barky terrier, which is what we’re going for here. This is a small intimate theatre too, so to sing lighter, and not use my full voice, is also challenging. As a performer, are you aware enough of the audience’s reaction to tell if something has gone South? What are your thoughts about Jenkins’ awareness while performing? Mary Gannon Graham: I try not to pay attention to that—if you’re worried that you’re hitting you’re mark, you’re not in the moment. If I’m playing comedy, I do need to hear the reaction, but every audience is different. As an actor you are aware—I call it the actor’s brain—and are focusing on a million things at once, one of which might be channeling the energy the audience is giving, but it’s mainly focusing on what is happening on stage. Florence Foster Jenkins was completely under the spell of the music. She was enamored with Verdi and Mozart and all the great composers and music was her drug, her religion, her bliss. I don’t think anything meant as much to her as music and promoting music. She was quite the philanthropist, and when she charged people their $2.40 to attend her concerts, she donated all that money to charity and never kept it for herself. She wanted to share music with the world and she heard herself in a different way and was blind to what the audience was experiencing. She must have had been part Teflon or maybe she just didn’t care what people thought—what type of character did she have? Mary Gannon Graham: She had this indomitable spirit and didn’t let the opinions of others dictate how she felt about herself. She had this almost childlike assurance that what she was doing was beautiful and perfect and right. She also had quite an ego and could be manipulative when it came to getting people to attend her performances, but it wasn’t with mal-intent. In the play, for example, she always says ‘It was proposed that we play here,” or ‘It was proposed that we move our recital.’ She had a lot of money and I suspect that she went out and shopped herself. After her father died, she inherited this huge chunk and that’s when she went to town. She stopped teaching piano and really pursued music—she took voice lessons and morphed into this singer. She had wanted to do this as a child but her father said no and when it came to her late in life, she went for it. Describe her relationship with her accompanist, Cosmé McMoon. Mary Gannon Graham: Cosmé McMoon was not her only accompanist but he was her last accompanist, the one who played Carnegie Hall with her. He is the only one in the play. She actually went through several accompanists and fired them because they weren’t up to snuff. She initially had her niece playing for her at the Ritz-Carlton. 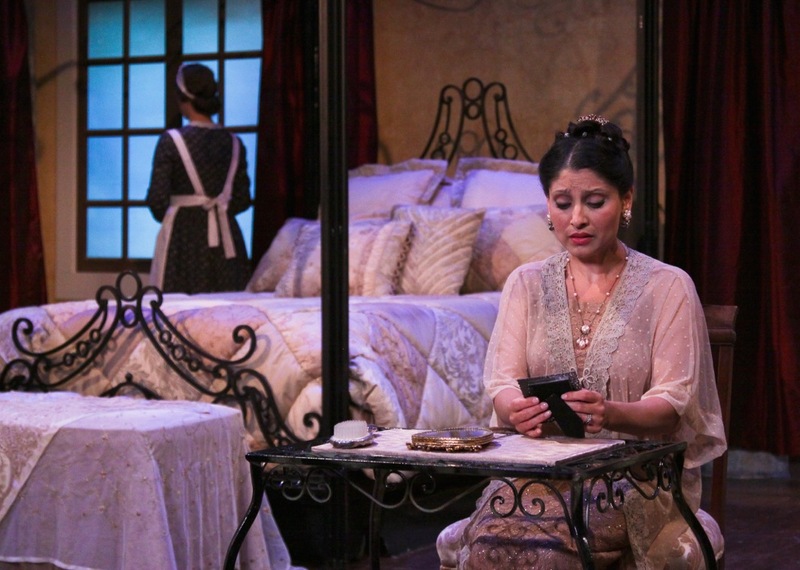 The play starts with her interviewing Cosmé to play for one of her first public recitals. 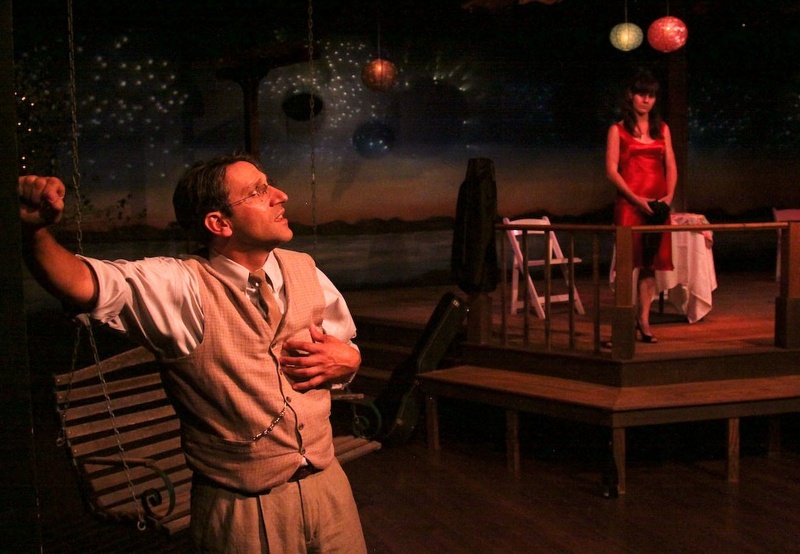 In Stephen Temperley’s play, Cosmé’s very protective of her. I’m not sure about this in real life. I’d expect that anyone who played with her would have had to have been protective. People would stuff handkerchiefs in their mouths to stifle their laughter whereas she thought they were so overcome with emotion, they were sobbing. She saw what she wanted to see and believed that she wanted to believe. When you played the role of Shirley Valentine, you mastered many personas. Is this the role that most prepared you for Florence Foster Jenkins? Mary Gannon Graham: Every role an actor pays helps them towards the next one. 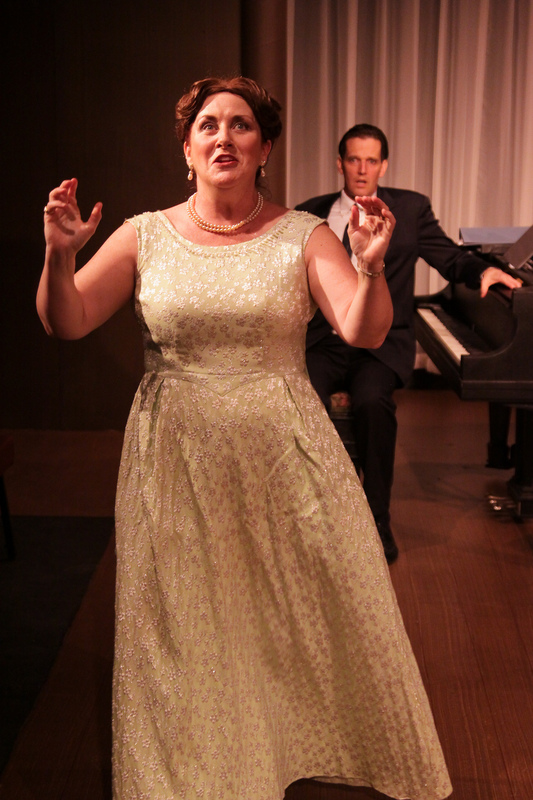 Singing Patsy Cline in Always Patsy Cline —doing so many performances—helped me find what I think is my voice, which is not Florence Foster Jenkins’ voice, and it gave me real confidence. 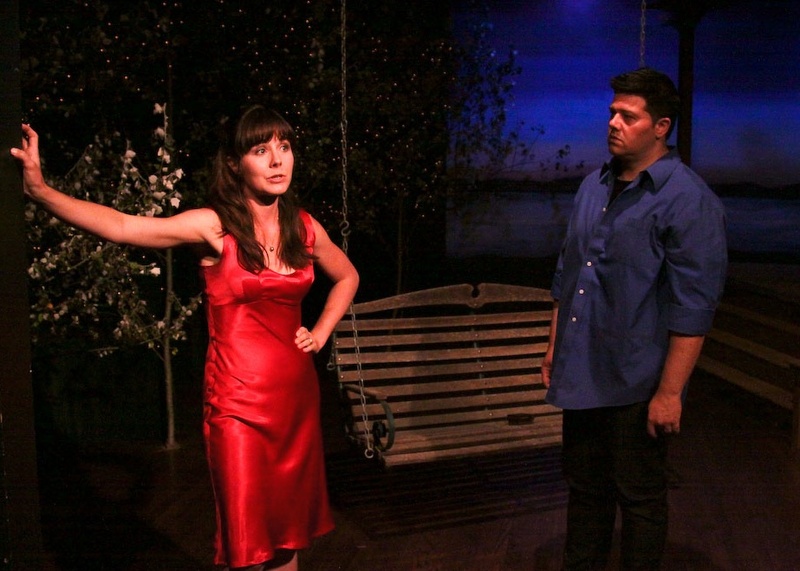 Shirley Valentine, as a character, goes through a transformation of courage—from being a doormat to her husband and children, to becoming this woman who has to go out on her own and make it. Taking on characters is an act of osmosis and parts of them stay with you. Acting is very much like fine tuning an instrument—sometimes you bring up one part and sometimes it’s another. 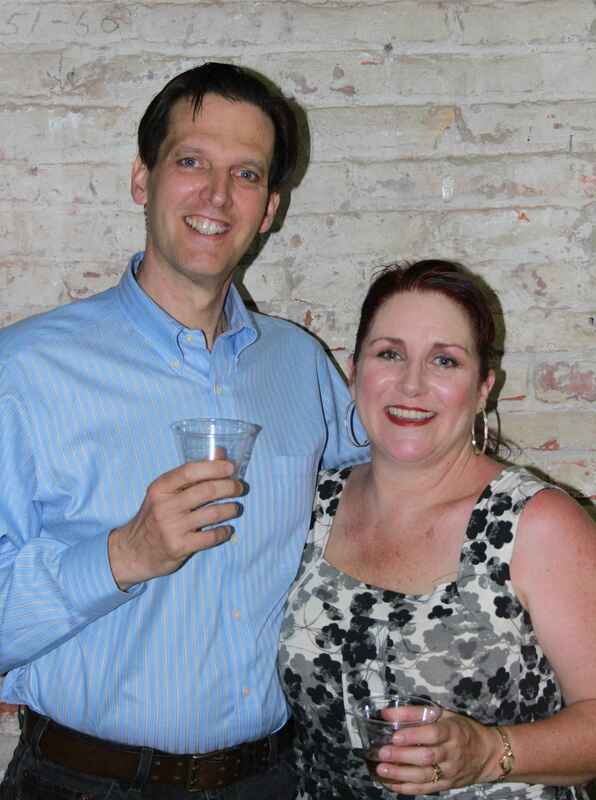 Aside from the singing, finding her age has been challenging—she was 25 years older than I am. She started her singing career probably in her late 50’s and gave that Carnegie Hall Performance when she was 76. It is not something that we, the director Michael and I, ever talked about but I suppose there is a part of me, the actor, that is aware of the passage of time. I slowed her walk a bit and made a conscious effort to use the arms of the chairs to get up and down. I can’t explain her voice, it’s just what comes out. How many costume changes do you make through-out the performance? Mary Gannon Graham: I have 14 costume changes and most of them occur in the scene for the Carnegie Hall performance where Florence is singing different arias and serially dressing for each role she sings. Florence designed her own costumes and had them custom made. She was especially inspired by a painting called ‘Inspiration’ by Steven Foster of a winged angel and had a beautiful angel costume created for her Ave Maria aria. Costume designer Pam Enz has really duplicated that very nicely. Is Florence Foster Jenkins’ celebrity deserved? Mary Gannon Graham: She had incredible chutzpah and did a lot to promote music. This was the era of clubs and she was a club woman in New York, which meant she was on the boards of dozens of clubs. She was the founder and president of the Verdi Club, a music club, and she was a celebrity within her own circle. When she made those famous single aria recordings, she became even more popular and she believed she was popularizing really good music. When she recorded the infamous aria “Queen of the Night,” from Mozart’s The Magic Flute, she got her friends together and she played recordings of famous singers doing that aria and hers would be in the mix too and she’d ask them which one they liked best. Most of her friends could recognize her voice and would pick her, to her delight. When someone didn’t select her as the best, she would accuse them of not having any sense of music. Because she promoted music so much and was such a philanthropist, I think she earned her notoriety and her fame. And she is more popular today worldwide than she was in her day, which is really something. Enrico Caruso, Arturo Tuscanini, Tallulah Bankhead, and Cole Porter went to see her, not so much the general public, but she was covered in the society pages and some of her recitals were reviewed. She didn’t give two shakes what people thought about her. One of the great lines in the play is ‘Art cannot be ruled by caution.’ I don’t know if she actually said that, but she lived it. If we all were our authentic selves it would be so freeing. That’s the great lesson of this play—have courage and believe in yourself. Did she have children or much of a family life? Mary Gannon Graham: No, she devoted herself entirely to her career. No one knows if she actually divorced her first husband, Mr. Jenkins. He did give her syphilis and she lost all of her hair, was bald as an egg, and so she always wore wigs. She was quite eccentric. She would carry around all of her important documents, like her will, in her briefcase with her. She didn’t trust it to be anywhere but near her and was secretive about who her voice teachers and clothing designers were. She had a common-law husband, St. Claire Bayfield, who she married in a ceremony that wasn’t legally recognized, and they started out romantically but ended up very good friends. They didn’t live together but wore wedding rings and, later on, he acted more like her manager than her husband. He’s not mentioned in the play and I’m not sure why. She promised him all kinds of money and ironically, when she died, no one could find her will, after all this carrying it around with her. Consequently, her estate reverted to some cousins who came forward to claim her fortune. Cosmé actually went to court and claimed that she was secretly in love with him too and had promised him this money. He didn’t get any of it either. 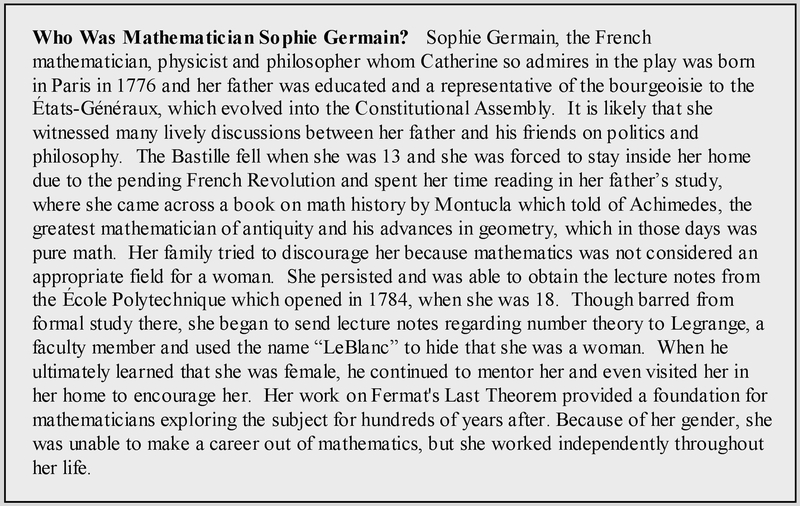 In your research what are some other interesting things you’ve learned about her? She collected chairs that famous dead people had sat in. She would buy their chairs and would say that so and so sat here. She loved jewelry and wore rings on several fingers at time. She had autographed photos of famous people all over her hotel room. She lived at the Hotel Vanderbilt in New York but, in the play, we have her living at the Ritz Carlton. Her Carnegie Hall performance sold out and they turned 2,000 people away. The only other two concerts that were so successful and sold out so quickly at Carnegie Hall were for Judy Garland and the Beatles. What we can all take away from Souvenir? Mary Gannon Graham: Constantin Stanislavski, the method acting teacher said, ‘Love the art within yourself, not yourself within the art.’ Florence Foster Jenkins did that. It’s not about being good, it’s about being and trying to give the audience something that they didn’t come in the doors with. In this case, it’s not letting other people tell you what you should and shouldn’t do and pursuing what you love with every fiber of your being. Souvenir’s Team and Cast: Stephen Temperley’s Souvenir: A Fantasia on the Life of Florence Foster Jenkins is directed by Michael Fontaine and features Mary Gannon Graham as Florence Foster Jenkins and John Shillington as accompanist, Cosmé McMoon. 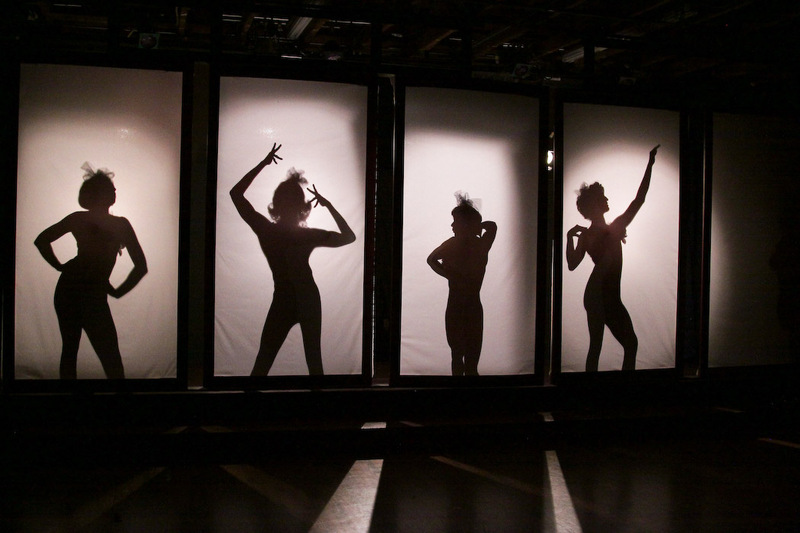 Special Event: A post-show discussion following the Sunday, May 20, 2012, 2 p.m. performance. San Francisco theatre writer and critic Richard Connema recalls attending the 1944 Carnegie Hall concert featuring Florence Foster Jenkins. During the last week before he shipped out to the Pacific as an Air Force photographer during WWII, 18 year-old Richard Connema, and a few of his Air Force buddies, took the one hour train ride from Fort Dix in New Jersey to New York’s Penn Station and to the USO and got comp tickets (orchestra, no less) to see Jenkins perform at Carnegie Hall. 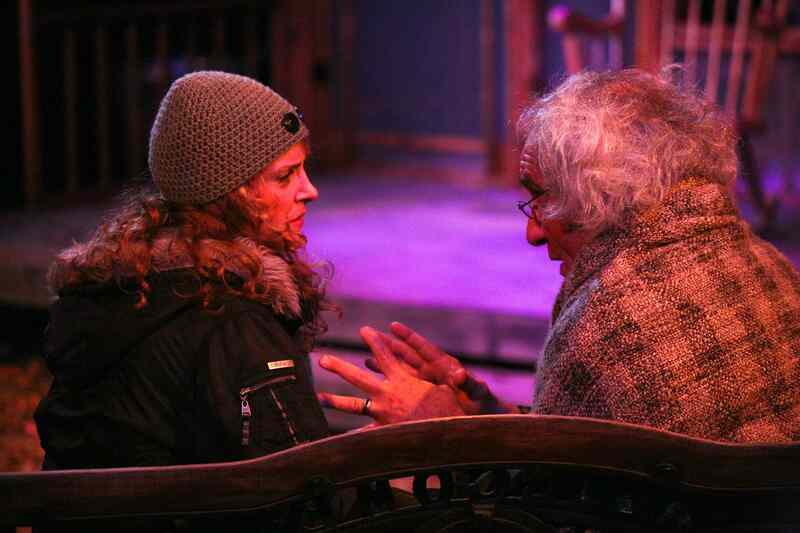 He recalls that the place was packed… “I’d sort of say she floated out to the stage…and she that earnestly faced the audience and began to sing.” Hear him relate the full story at the post-show discussion. Flashback: It’s 1958 and prom night at Springfield High School. 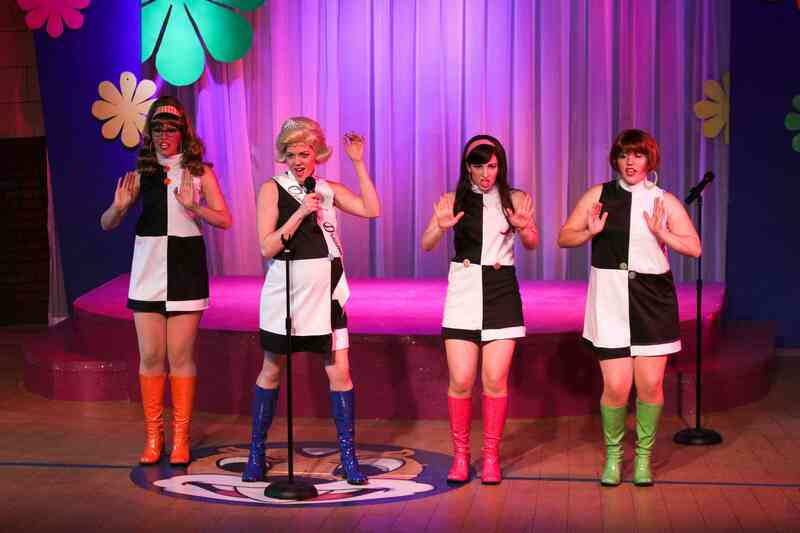 The live entertainment is The Marvelous Wonderettes, four best girlfriends, high school seniors—Betty Jean (Shari Hopkinson), Cindy Lou (Ashley Rose McKenna), Missy (Katie Veale) and Suzy (Julianne Lorenzen) who hit the sweet spot in four part harmony. Baby Boomers especially will enjoy 6th Street Playhouse’s dynamic musical review The Marvelous Wonderettes, Roger Bean’s long-running Los Angeles and Off Broadway hit which won the 2007 Los Angeles Ovation Award for Best Musical. Directed by Craig Miller, 6th Street’s Artistic Director, and Janis Wilson, Musical Director, with choreography by Alise Girard, the show features 35 oldies from the 1950’s and 1960’s, 28 of which are sung in glorious four part harmony. There’s no real plot to speak of, save for some fairly innocent high school antics; the drama showcases the music which is a delightful end in itself. The girls start out with Mr. Sandman and that all time favorite, Lollipop, both popularized by the Chordettes, and then move on to Dreamlover and Hold me Thrill Me, Kiss Me, and other 1950’s classics, demonstrating a solid mastery of the beloved and quite difficult tradition of vocal harmonizing. And the fun they’re having is infectious! You’ll have to work out your politics for how to silence the guy next to you who breaks out in his own crackly soprano rendition of one of these oldies. Act I’s prom theme is “All I Have to Do Is Dream/Dream Lover” and a dreamcatcher is used as a vehicle for each girl to dedicate a song to her special love. Over the course of their special prom performance, some unexpected cracks emerge in the tight gal-pal bond—Cindy Lou steals Betty Jean’s Alleghemy Moon solo, and her boyfriend, and the two bicker about it by blowing liquid soap bubbles over each other. The music is cotton candy sweet and so are Tracy Hinman Sigrist’s very colorful retro costumes—50’s prom dresses in pastel satins with full skirts and crinolines and matching dyed shoes. 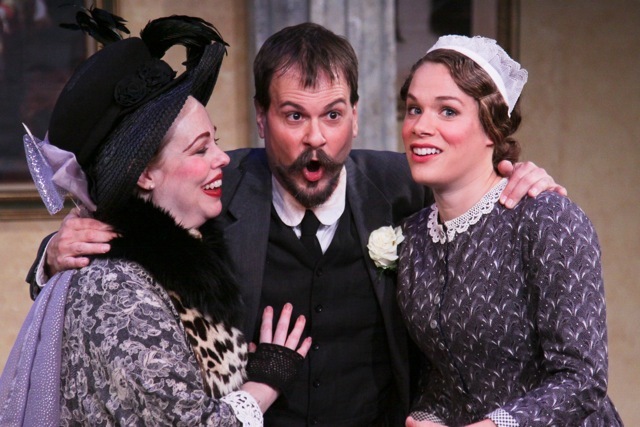 Act I closes with the audience voting on prom queen, which is quite exciting until you discover that the ballot you and the rest of the audience has cast is hastily thrown out in a dramatic gesture made by one of the girls and never counted. Act II is set in 1968 and picks up at Springfield High School Class of 1958’s 10-Year Reunion and the Marvelous Wonderettes open with Heatwave. During the course of the reunion, we learn what has happened in each of the girl’s lives since graduation and it turns out that each of them is suffering in some way over love. Missy, burnt out and frustrated, has been dating the same guy for five years with no marriage proposal in site and Suzy is very pregnant and her husband is cheating on her. Each of four young women sings a powerful medley of songs that fits her situation and the girls support each other and discover strength and healing in friendship. 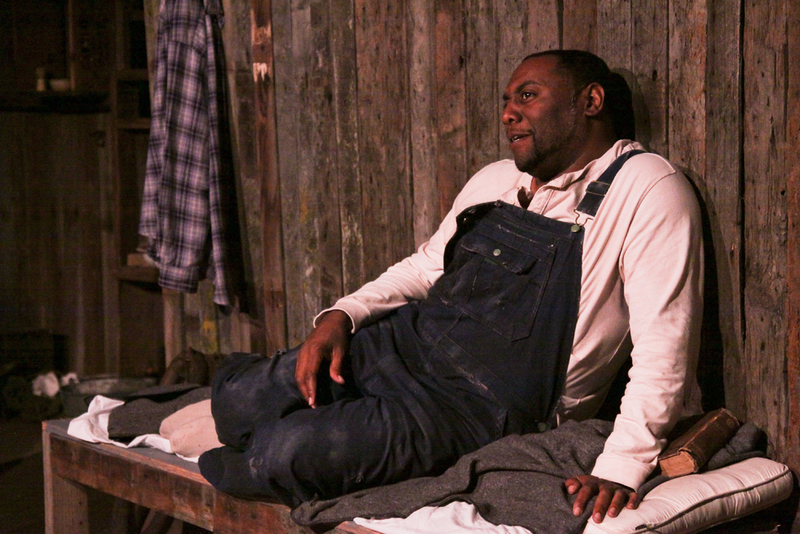 The show, pleasant enough, somehow aches for more depth, especially in Act II. All the rich promise of 1968—the peak of the Vietnam War, the assassinations of Martin Luther King Jr. and Robert Kennedy, riots at the Democratic National Convention, Black Power demonstrations at the Summer Olympics, Feminist demonstrations at the Miss America pageant, and so much more—is basically ignored and it appears that Springfield is just another small suburban enclave looking inward. Never really tapping into the collective mindset of our country’s most rebellious decade, nor its rich and complex zeitgeist, seems a bit of cop-out for playwright Roger Bean who has gone on to make a career on the Wonderettes and sequels like Winter Wonderettes. The toe-tapping music itself, though, is fabulous and 6th Street and each of its four singers deliver a thoroughly enjoyable salute to girly pop. Highlights of the show include vibrant four-part harmony in Mr. Sandman, Lollipop, and Maybe. Santa Rosa resident Ashley Rose McKenna in her debut performance at 6th Street beams in Act I as the petite brunette trickster Cindy Lou. 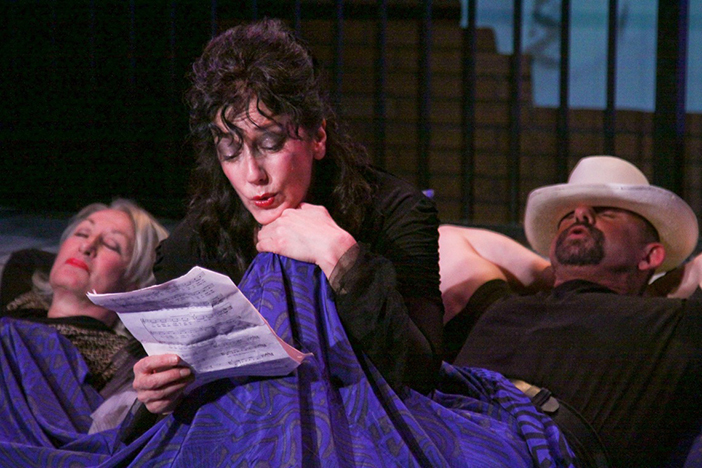 She delivers a lush Allegheny Moon and follows through in Act II with an energetic Son of a Preacher Man and Leader of the Pack and a tender, pleading and heartfelt Maybe, with back-up by the talented ensemble, possibly the evening’s most poignant offering. 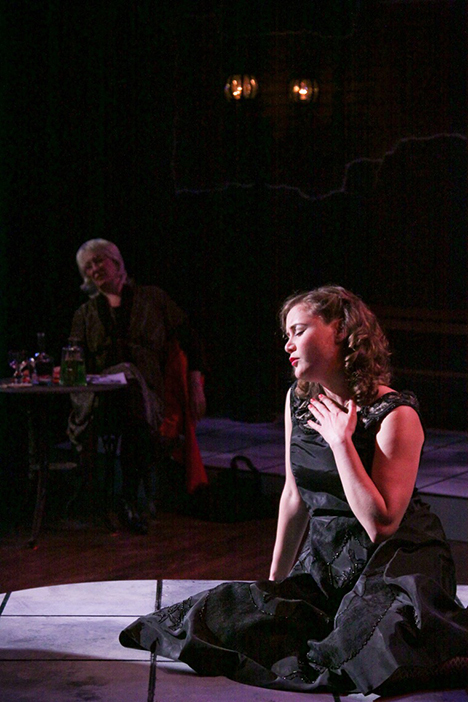 Rohnert Park resident Katie Veale also makes her 6th Street debut as Missy, a sweet nerdish girl in glasses who’s also a serious soprano, delivers a very moving It’s In His Kiss and Wedding Bell Blues as she is joined by the ensemble. In addition to her consistently strong singing, Shari Hopkinson, part of 6th Street’s full-time team, brings compelling soul and a rich willfulness to Betty Jean, while Julianne Lorenzen adds a dose of authentic vulnerability to Suzy. And behind a sheer curtain in back of the stage action is the talented six member band that keeps the rich music flowing all evening long. Led by Janis Dunson Wilson (conductor/keyboards), the group includes Casey Jones (saxophones), Chad Baker (guitar), Steve Hoffman (bass) and Laurie Bilbro (bass) and Mateo Dillaway (drums). 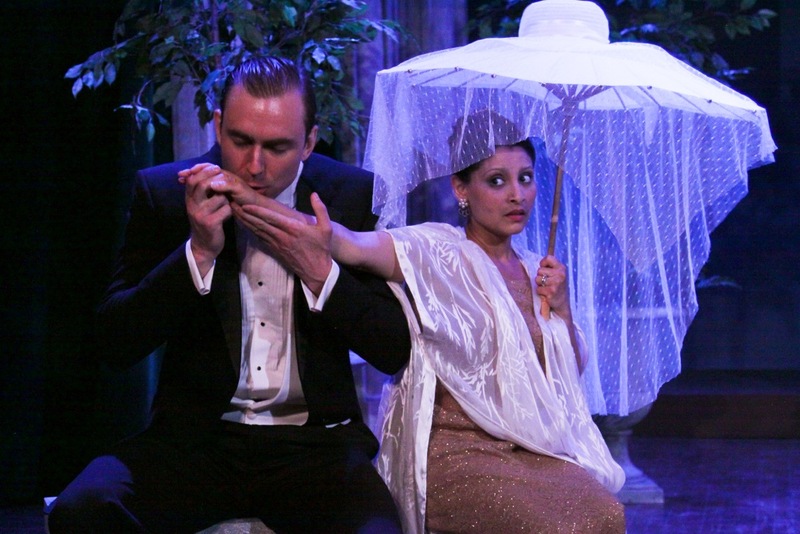 Up Next at 6th Street Playouse: Stephen Temperley’s Souvenir: A Fantasia on the Life of Florence Foster Jenkins recounts the true story of Florence Foster Jenkins, a wealthy, tone deaf socialite who dreamed of being a great opera singer. Her efforts to become a great coloratura soprano led to fame and notoriety with annual private recitals at the Ritz Carlton Hotel; a sold-out concert at Carnegie Hall in 1944; and an impressive list of celebrity fans of her day including Cole Porter, Enrico Caruso and Tallulah Bankhead. Memories and experiences are recalled by her accompanist and friend, Cosmé McMoon in this poignant comedy that celebrates the spirit of a woman who defied criticism and followed her bliss. 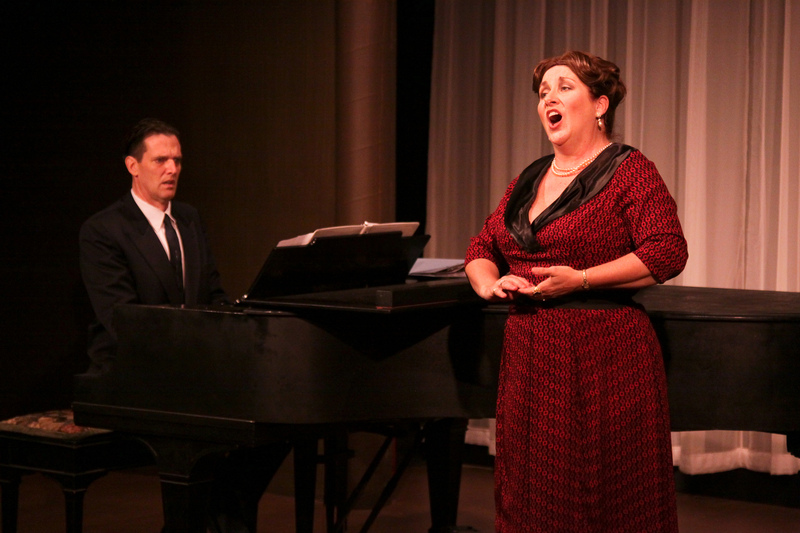 Directed by Michael Fontaine, Souvenir features award-winning actress Mary Gannon Graham as Florence Foster Jenkins (who dazzled as Patsy Cline in Always…Patsy Cline at 6th Street in 2010) and John Shillington as accompanist, Cosmé McMoon. 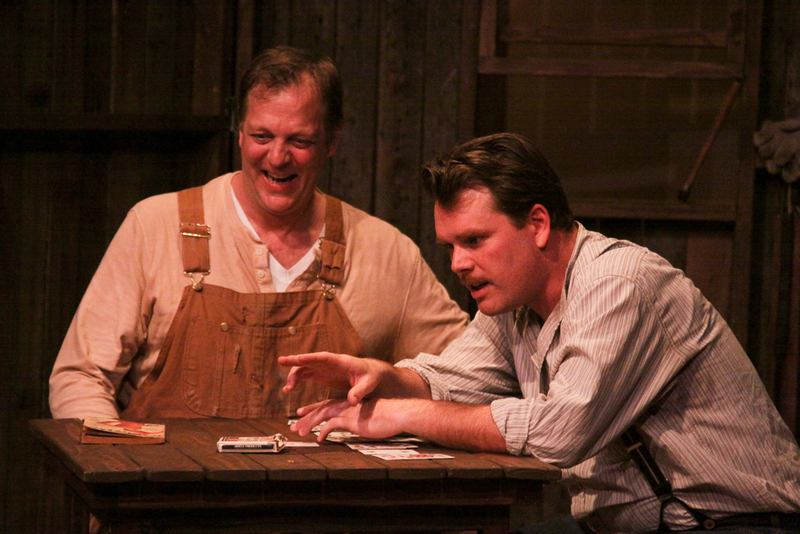 May 11 to May 27, 2012, part of 6th Street’s Studio Theatre Series. Another 1968, with grit and rebellion: Witness the powerful richness of the year 1968—twelve months of culture shifting, life-changing, memory stamping events, and explore the Bay Area’s pivotal role, at the Oakland Museum’s fabulous new 1968 Exhibit, through August 19, 2012. 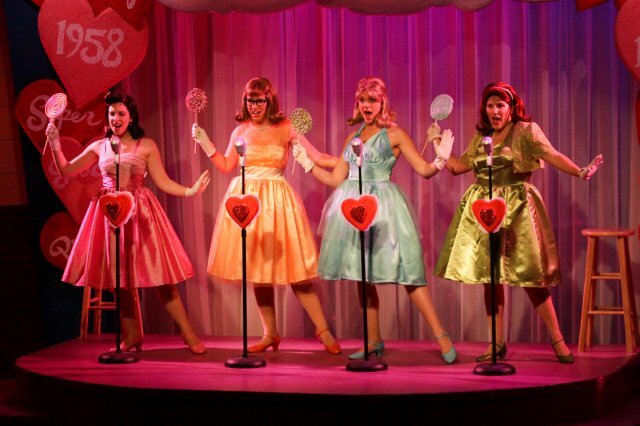 Details: The Marvelous Wonderettes ends May 13, 2012. 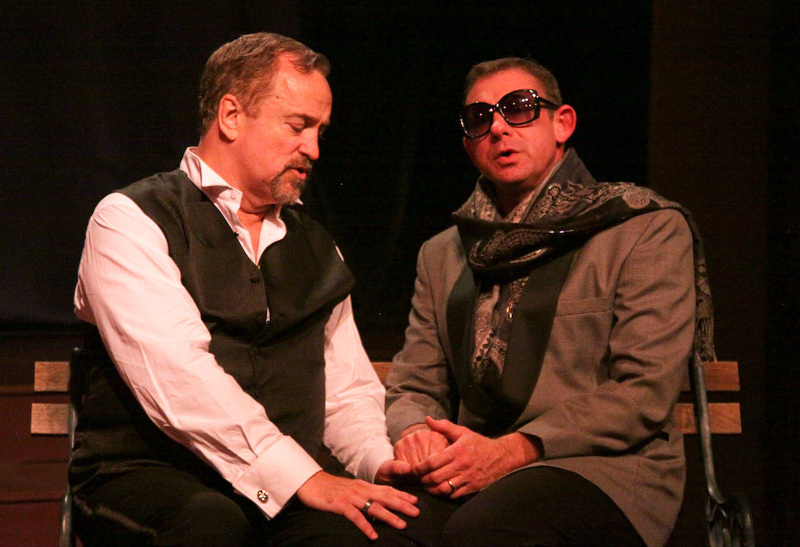 6th Street Playhouse – GK Hardt Theatre, 52 West 6th Street, Santa Rosa CA, Performances: Thursday, Friday, Saturday 8 p.m. and Sundays 2 p.m. Tickets: $15 to $35. 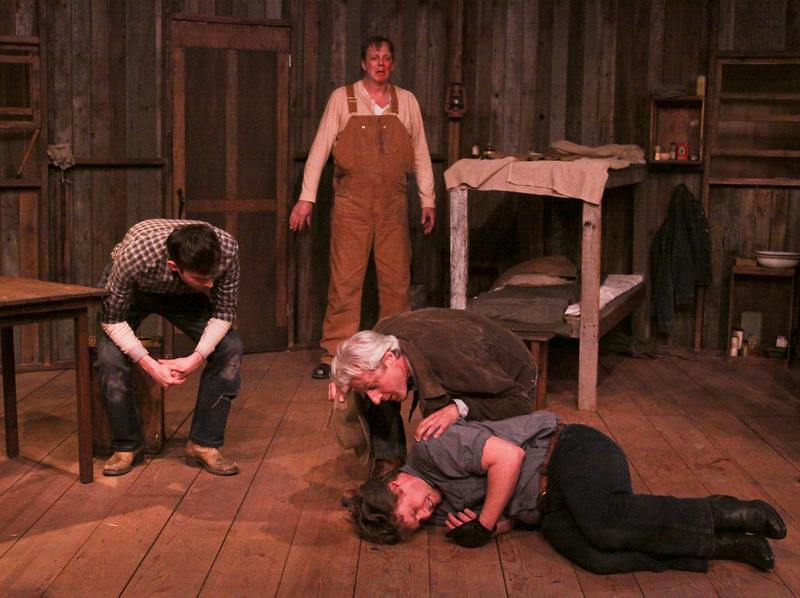 For more information: www.6thstreetplayhouse.com or phone 707.523.4185.